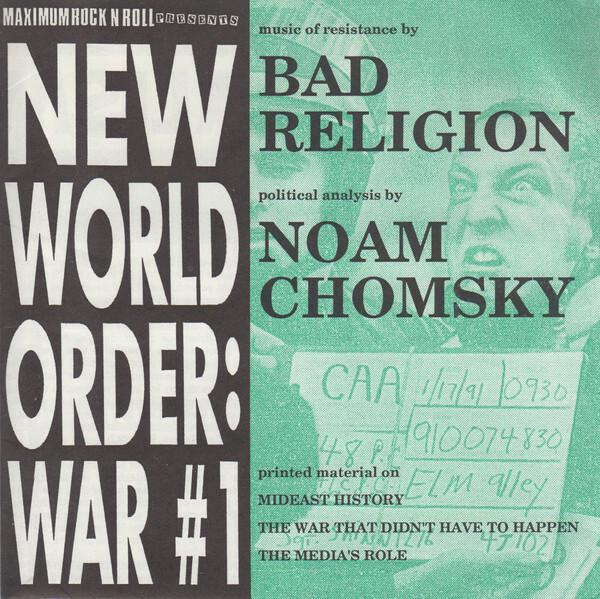 This 7" was released by the US magazine Maximumrocknroll to protest the first Gulf War. The 7" comes with a big poster cover including articles on the war and the Gulf region and its history. Side B is analysis by Noam Chomsky.